Barghouti, who is believed to be responsible for the deaths of 26 people in suicide bombings and shooting attacks during the Second Intifada and is currently serving five consecutive life sentences for murder, declared the hunger strike in a New York Times opinion piece in April, in the middle of the Jewish festival of Passover. 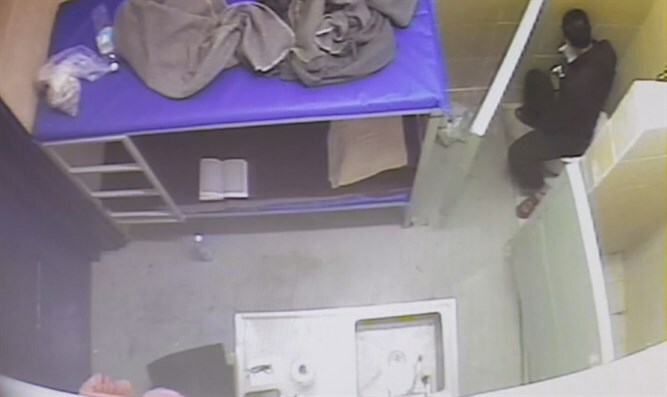 But footage of Barghouti’s jail cell reveals that the arch-terrorist feigned his own hunger strike, eating in secret in a corner of his room, just as he did in the previous hunger strike he led. A senior member of the Fatah-Tanzim terror group, Barghouti retained his seat in the Palestinian Authority legislature despite his conviction and imprisonment. Barghouti nevertheless remains a popular figure within the Palestinian Authority, and is often touted as a potential successor to current PA Chairman Mahmoud Abbas. Minister of Internal Security Gilad Erdan (Likud) mocked Barghouti, accusing the jailed terrorist of orchestrating the hunger strike to improve his own political standing while failing to take part in the strike itself.